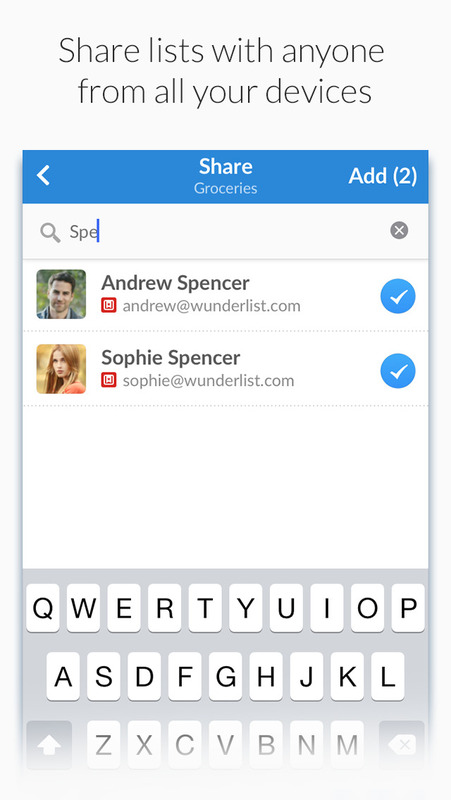 Wunderlist instantly syncs between your phone, tablet and computer, so you can access your lists from anywhere. 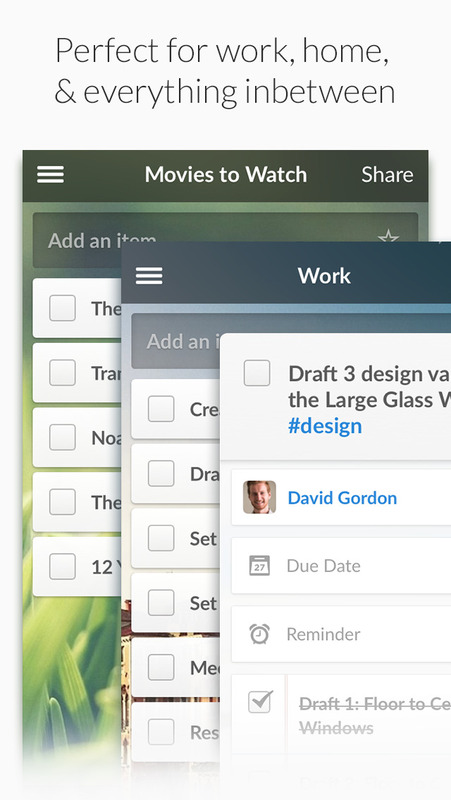 “Wunderlist is our favorite to-do list manager for just about every platform.” – Lifehacker. As “Mac App of the Year – 2013,” Wunderlist has also been featured in The New York Times, The Verge, TechCrunch, CNET, The Guardian, Wired, and Vanity Fair, just to name a few. Key Wunderlist Features: • Create all the lists you need and access them from your phone, tablet and computer • Easily share lists and collaborate with family, friends and colleagues • Start conversations about your to-dos • Attach photos, PDFs, presentations and more • Share the work and delegate to-dos • Setting a Reminder ensures you never forget important deadlines (or birthday gifts) ever again Wunderlist is free to download and use. 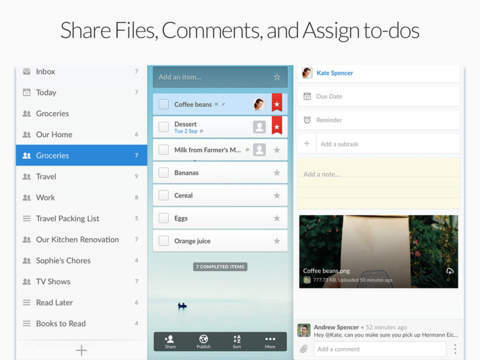 Wunderlist Pro upgrades your experience and gives you unlimited access to Files, Assigning and Subtasks to help you accomplish even more for $4.99 a month or $49.99 a year through an auto-renewing subscription. You will not be able to cancel a subscription during the active period. You can manage your subscriptions in the Account Settings after purchase. • If you have a love-hate relationship with passwords like we do (the love comes from keeping stuff secure), you’ll be happy to hear that in addition to 1Password support, you can now also use iCloud Keychain to quickly sign in. • In case you make a mistake in a Comment, you can now take back what you said. Just long-press to delete your Comments. • We’ve made our sharing extension, Add to Wunderlist, even better so you can more easily add items to Wunderlist from your other favorite apps. • And to round this update out, we put our mine-sweeper to work to find and remove a bunch of bugs for better performance.